Box mattress - the easy solution for your new bedroom. The box mattress is the easy solution when you need a new bed. The box mattress requires no bed frame – only some legs. This makes it easy to set up and easy to move around, when cleaning. At the same time, modern box mattresses provide the same high sleep comfort as beds with spring mattresses. The box mattresses use pocket springs in the same way as the spring mattresses. Here you can read how to choose the right box mattress. What you should consider for accessories for the box mattress. The box mattress has since the advent been a top-rated bed solution. Not only for the children’s but also for the adult bedroom in the home. The box mattress is available in many widths ranging from children’s size to the full double bed size. Southerland mattress is a good offer for a single bed as a mattress. It comes with optional top mattress in either latex or memory foam. However, the top mattress only has a core of 4 cm. Here, a thicker core will provide better support for the body. The box mattress has pocket feathers, and you can choose between medium and hard. That makes Southerland mattress suitable for people under 95 kilos. It is not suitable if you weigh more than this. Dynasty mattress city BN is a super luxury single bed made of box mattress. 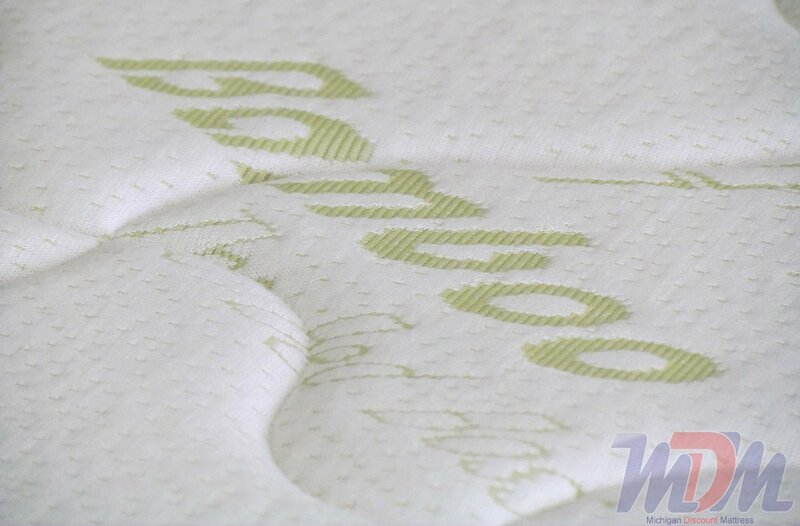 It is made of pocket springs and has comfortable latex padding to avoid allergy and temperature problems at night. At the same time, you can choose between a latex mattress memory foam. By default, the top mattress comes with a core of 4 cm. But for a modest cost, you can get the mattress pad upgraded to 6 cm core. It provides a better sleeping comfort. Finally, you have the option of getting the box mattress in 210 cm long – without having to pay extra! Novaform mattress is another great offer for a super-lucky single-person box mattress. This version is equipped with anti-slip bolster so the top mattress cannot slide to the sides. At the same time, you get the choice of a top mattress in memory foam or latex with a 6 cm core, as well as the option to choose hardness and higher leg at no additional cost. This makes it easier to get in and out of bed. The bed is suitable for people under 95 kilos but is also available in a version for people over 95 kilos. A box mattress is a self-supporting construction with its wooden frame. All you need to do is to mount legs on the box mattress. Then you have a finished bed, just make the bed and sleep. The simple construction makes it easy to move your box mattress when cleaning. Should you be moving, it is easy to carry the box mattress. 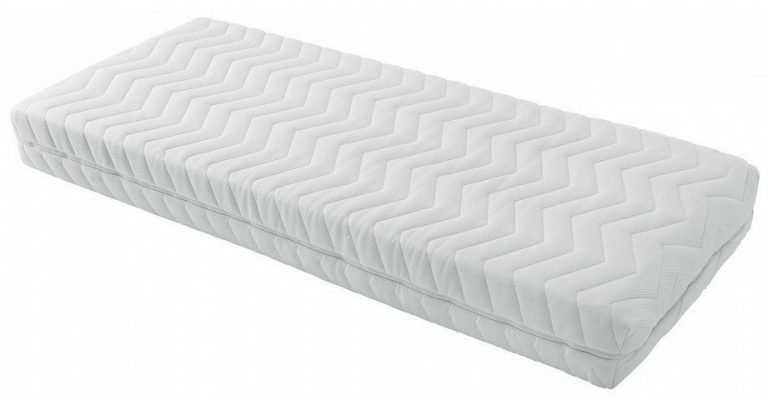 The modern box mattress has pocket springs, like spring mattresses. It provides the same sleep comfort as these, but a much cheaper and more accessible bed solution. You do not have to acquire the bed frame for the mattress. Older box mattresses with traditional springs, also known from sofas, so they do not give close to the same sleeping comfort as the modern box mattresses with pocket springs. For many box mattresses, you can also buy a loose headboard. This gives you the same possibilities for laying, lighting and for sitting in bed as you have with the traditional double bed with bed frame. Box mattresses are available with different springs depending on body structure, wishes for quality, etc. 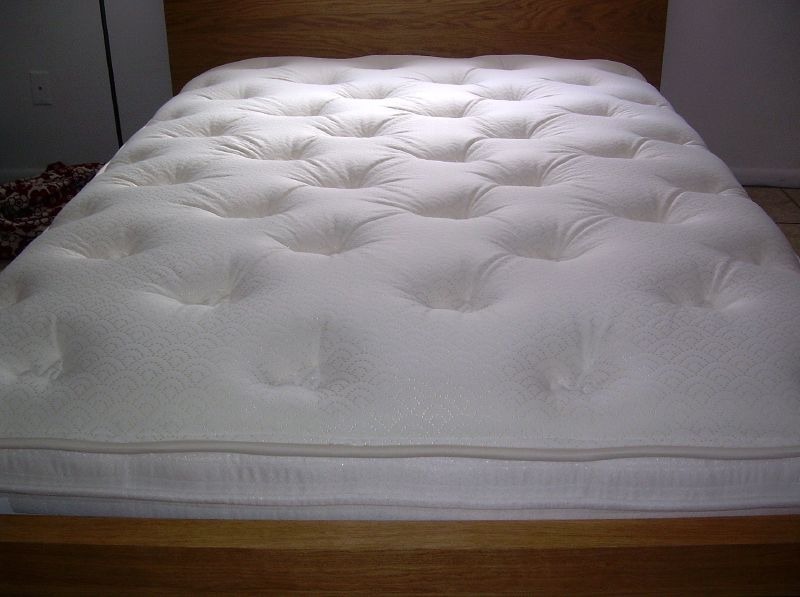 When choosing a mattress, it’s primarily about the size and the type of pocket springs. Then you should consider whether to buy a top mattress and if you need to buy a separate headboard. It allows you to make the box mattress for the same bedside furniture as you usually get when you buy a double bed with spring mattresses either as a continental bed or a raised bed. What box mattress is the right one for you? Your first choice is about the size of the box mattress. They are available in widths from 80 cm and up to 180 cm, depending on whether you want a single or a double box mattress. For children, the obvious choice will usually be one of the small types of either 80 or 90 cm, while single-bed beds for adults are either 90, 120 or maybe 140 cm in width. The 140 cm wide edition allows you to have an overnight guest in bed without being too close – and for the rest of the time, you only have extra space to widen you. The 140 cm edition can also easily make it a double bed if there is not much space in the bedroom. However, most people choose the larger versions of 160 or 180 cm in width when there are two in bed every single night. As soon as the box mattress comes up in a real double bed size, use two sets of mattress mattresses of 80 or 90 cm wide. It provides a double bed of 160 or 180 cm in width respectively. At the same time, it makes it possible to customize each side of the bed so that you can get the most comfortable sleeping comfort. It happens through the choice of firmness and pocket springs that we will come back for in a while. The two separate box mattresses give the same problem with the crack in the middle as traditional double beds with two mattresses. However, it can easily be fixed with a pillow top mattress throughout the bed width. If you approach the two meters in height – or you may be longer than that – you must have a box mattress that is longer than the 2 meters, which is the standard length of most models. In general, you should always choose a mattress that is at least 10 cm longer than your height. Otherwise, you will feel that you cannot extend. This can lead to incorrect sleeping positions, as you instinctively lie down at night. If you’re over 190 cm tall, you have to grab a box mattress of 210, and you’re over 2 meters high, preferably you’re up to 220 cm. Box mattresses on these targets are sold at most bed shops and webshops selling beds online. If you can not find them, you can always ask either in the store or the webshop customer service. When it comes to the physical design of the individual box mattress, you should choose the mattress type according to your weight. It provides the best sleep comfort and ensures you have no beds in the bed. 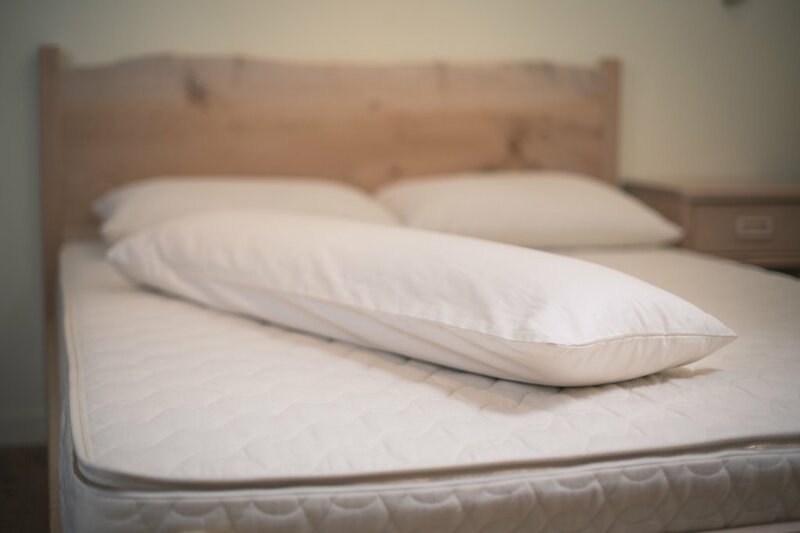 If you choose too soft or too hard mattress, it can easily cause back pain, as you may risk waking up several times during the night due to sleeping limb or pain. 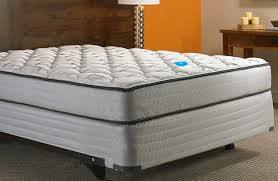 Therefore, it is very important that you are honest about your weight when choosing a mattress pad. 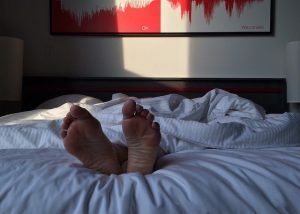 Especially if you weigh about 75 or 95 kilograms, in practice, the two separation points are when it comes to the choice of spring type and firmness of the mattress. What kind of pocket springs should my box mattress have? A modern box mattress is made up of pocket springs, which is significantly smaller and is much closer than the traditional springs that older box mattresses are fitted with. Thus, in a standard box mattress with pocket springs, there are about 300 springs per square meter, while the more powerful box mattresses with multi-pocket springs have between 400 and 600 springs per square meter. This means that the mattress supports more active around the body and can adapt to the shape of the body much more accurately. If you weigh less than 95kg, you should choose a box spring with pocket springs while choosing a mattress with multi-pocket springs if weigh more than 95kg. If you are close to this weight limit, consider whether to choose multi-pocket springs, nevertheless, as you avoid sleeping problems if you get on. What hardness should my box mattress have? The box mattress’s hardness is about how stiff the springs in the mattress are. Here you should, as a rule, choose a medium-strength box mattress if you weigh less than 75 kilos. However, if you weigh 75 kilograms or more, you should choose a solid-state box mattress. Multi-pocket springs and hard hardness if you weigh over 95 kilos. So you’re sure that your box pad gives the body the most optimal sleep comfort and supports the back, shoulders and lower back most optimally during sleep. It gives you a better and deeper sleep because you do not have to wake up because of pain, tension or sleeping limbs. 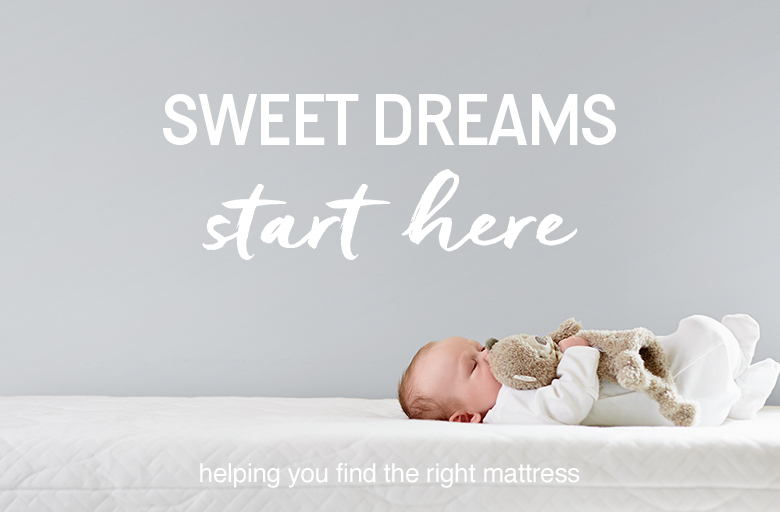 In addition to springs and hardness, comfort zones, upholstery and bolster can also influence your choice of box mattress. Comfort zones are special areas in the box mattress. They are adapted to support your body on special points like shoulders, loins, and legs. Here, most box mattresses are equipped with 5 comfort zones for a more comfortable sleep. The padding indicates how the pocket springs are wrapped in the box mattress. Here the cheapest models will use foam – usually pure and cold foam in the most expensive or memory foam in the slightly more expensive – or a padding of latex in the most expensive models. The problem with the foam padding is that it does not direct the heat away from the body. You can wake up at night feeling too hot. Here latex padding allows the body to breathe and transport the heat away from the body. This will prevent you from being disturbed during your night’s sleep due to the temperature in your bed. We will be returning to the choice of top mattress. The bolster is the fabric that the box mattress is covered with. Here, most box mattresses use a solid colored bolster in neutral gray shades. But it is also possible to get bolsters in other colors like patterned bolsters is not uncommon. Here, there are typically striped or bloomed patterns – the latter is not so common here at home. Which top mattress should I choose for my box mattress? Whether you have chosen a double bed with two box mattresses and therefore want to remove the crack in the middle or you have chosen a box mattress in one piece, it may be a good idea to purchase a top mattress. Secondly, it prolongs the life of the box mattress, which does not wipe nearly as much below the top mattress, and partly allows the top mattress to adjust to the bedside comfort. Both in terms of the firmness and the temperature in the bed. In general, you can choose from three different types of top mattresses. 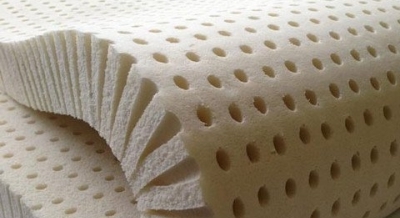 They are quite cheap of pure or cold foam, the little more expensive of memory foam and latex mattresses of latex that are priced at the level of memory foam and upwards. The cheapest top mattresses in the pure or cold foam are not recommended. Unless you just want to extend the life of your old box mattress until you can afford to replace it. 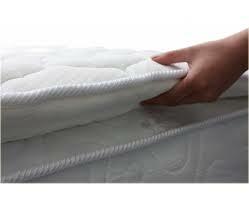 In part, top mattresses of pure or cold foam do not give the body any special support and, on the other hand, they do not direct the heat away from the body. This means in practice that you can not adjust the sleep comfort with such a top mattress as you may wake up at night because you are too hot or even sweating. Top mattresses with a core of memory foam fit the body’s shapes and support better around the hips and shoulders. These areas sink further into the mattress, so you will lay with a tight spine. On the other hand, you can experience the same heat problems with memory foam mattresses, as you can with the very cheap mattresses in pure or cold foam. It’s not a good choice if you often have problems with the heat in the bed at night – for example. Because you have reached menopause, how many women suffer from so-called hot flashes. 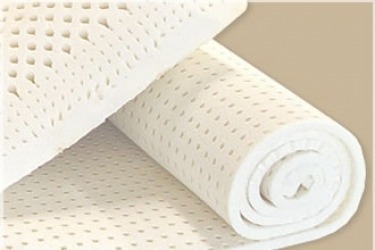 If you feel the heat at night, you should instead choose a top mattress with a core of latex. It is a natural product that allows the body to breathe. This allows you to get rid of the heat when you sleep. Like latex does not give the same allergy problems as your experience with foam mattresses. At the same time, the latex mattress adapts to the shape of the body in the same way as memory foam. 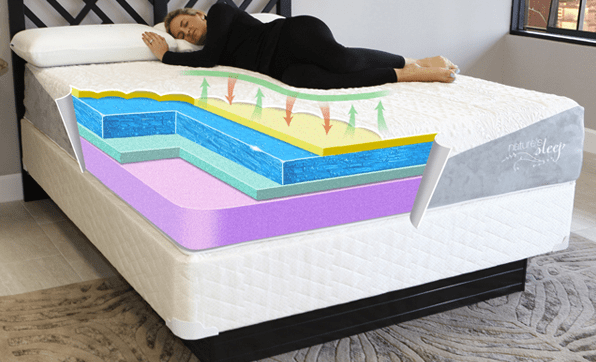 However, where the memory foam adapts to the given body heat, the adaptation to the body takes place on a latex mattress by allowing the latex layer to provide as much opposing pressure on the body as the body attaches to the top mattress. The pressure is always highest on the body’s prominent areas, namely shoulders and loins. Therefore, you get the same straight spine, as you also have when lying on a top mattress with memory foam. A top mattress with latex is, therefore, the most optimal choice – especially if you are hot or allergic. If you do not suffer from some of these things, you can choose a top mattress with a core of memory foam instead.